Number of times Jon has taken the dog for a walk around our large/highly populated/not in any way remote or forested or secluded apartment complex just before sunrise or just after sunset and seen a naked woman? SIX. I didn’t believe him until I went on a walk with him the other night and saw number six for myself. At about 8pm. Seriously. Just standing in plain sight to be viewed from the parking lot/sidewalk/WHOLE AREA. Is it not widely understood that dark outside + lights on + blinds open = peep show? We’re totally making bets/keeping score now. 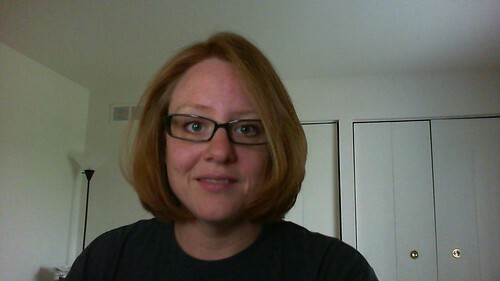 I chopped off most of my hair. The $13 haircut was just bad. I should’ve known. 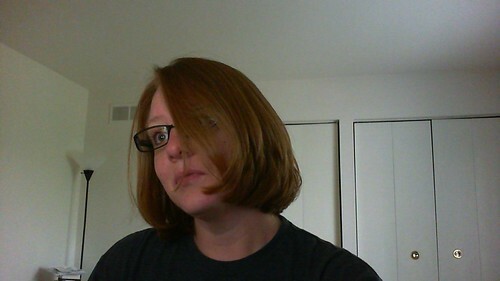 I had to have it cut at almost the shortest layer. I don’t love this, either, but it grows quickly. I read through my archives and found that I hated the world last Sept/Oct, too. I have no idea what’s going on there – but I feel better, or something, knowing that. I am trying to get back on track. 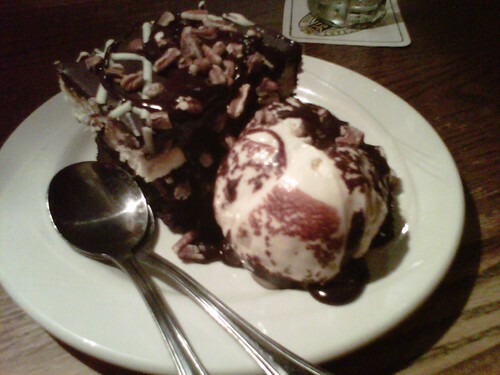 Weight-wise, I’m good – I’m not gaining. I’m easily maintaining – but I’m just not eating healthy/nutritious stuff … I’m not making my health/body a priority. 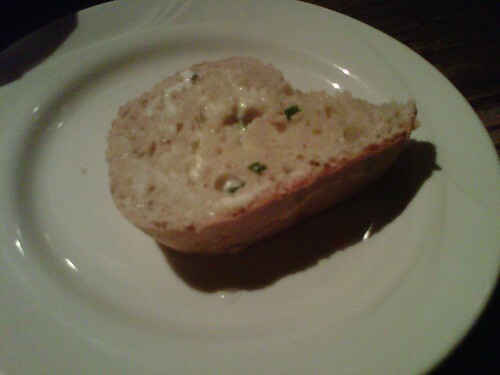 I’m going to try harder with the pictures (for accountability). I sort of miss it even though I mostly have ZERO time. I made an effort today – with the pictures, anyway – though they’re all phone pictures. 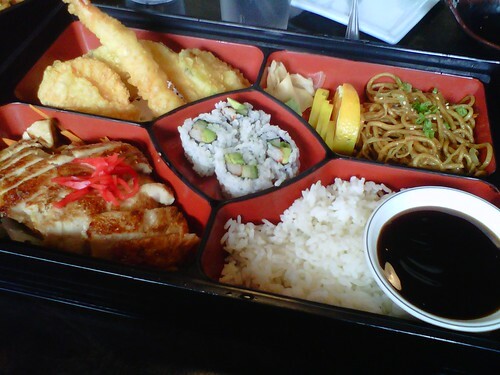 Lunch = chicken teriyaki bento box at some place I can’t remember. 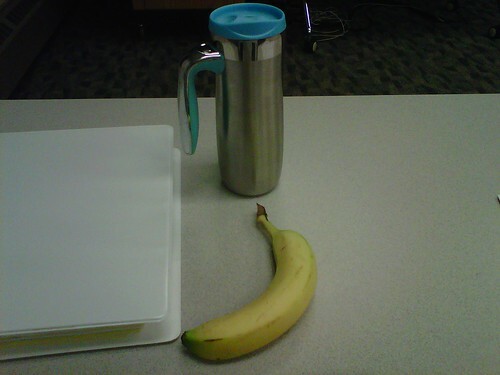 Snack during my night class = banana and hot tea. 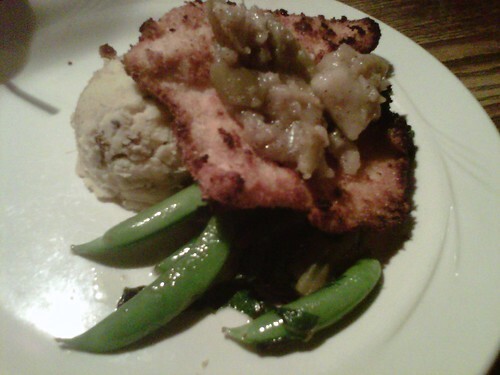 Dinner = bread + chicken schnitzel/greens/mashed potatoes for me + some of Jon’s brussel sprouts … at 9pm when I was free – aka BIG MISTAKE since that’s generally bedtime. So fun, though. I love it when Jon’s home to do this stuff with me after a long/tiring day. Bad habit, maybe – but fun. I don’t know why I’m not gaining weight, either. I remained really open-minded and attempted a mindful eating exercise a student in one of my classes wanted to do even though I’d seen it in practice before and really thought I would feel like it was BS if doing it myself. Interesting, though. I can see that other people -without my cynical/weird issues – might find it helpful/enlightening. Your hair is adorable. But then your hair would look fabulous (and does) at any length! 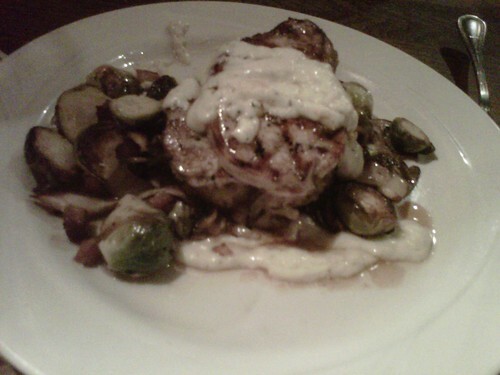 Food looks tasty too!